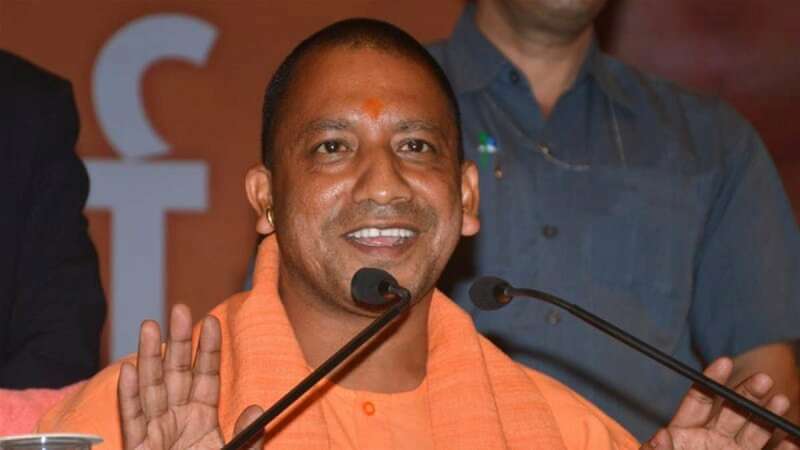 Hyderabad : Uttar Pradesh Chief Minister Yogi Adityanath on Sunday said that if the BJP comes to power in Telangana, MIM leader Asaduddin Owaisi and his younger brother Akbaruddin will have to flee Hyderabad the way Nizam did. The BJP leader was apparently referring to the Majlis-e-Ittehadul Muslimeen (MIM) President and Hyderabad MP Asaduddin Owaisi and his younger brother. He pointed out how Sardar Vallabhbhai Patel had forced the Nizam (the ruler of erstwhile Hyderabad State) to flee. Addressing another rally at Sangareddy, Adityanath said the Congress was a hurdle in the path of construction of a grand Ram temple at Ayodhya. He slammed both the Congress and the ruling Telangana Rashtra Samithi (TRS) for what he said was minority appeasement.